“We hereby approve of this edition of the Catechism, in Our name and that of the other bishops, and prescribe its exclusive use”, wrote Cardinal Wiseman in an 1859 Synodal decree following the re-establishment of the Catholic hierarchy in England and Wales in 1850. Popularly known as ‘the Penny Catechism’, A Catechism of Christian Doctrine was the staple tool used in schools and parishes for teaching the Faith, until it was abridged and updated after Vatican II, in 1971, to suit the New Religion. This edition, “approved by the archbishops and bishops of England and Wales, and directed to be used in all their dioceses,” carries the 1921 imprimatur of Cardinal Bourne, Archbishop of Westminster. Paperback, laminated card cover, pocket-size 5″ x 7″, 60pp. 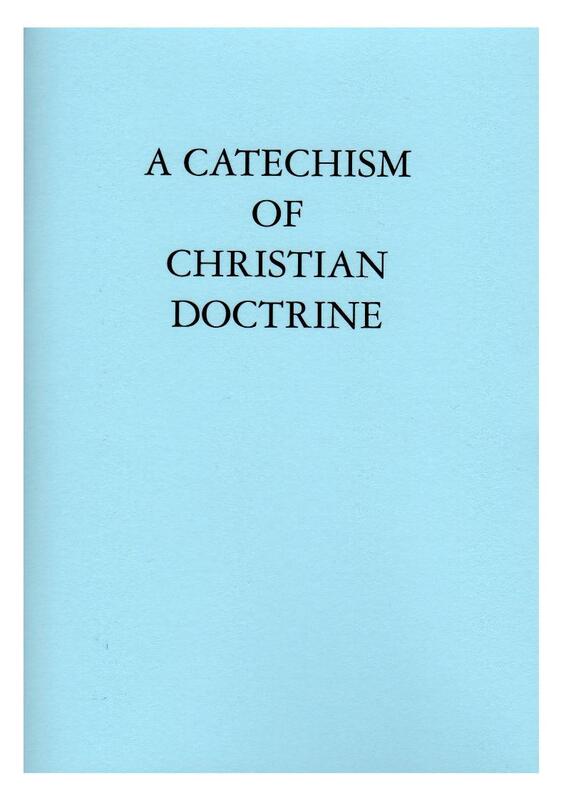 To purchase a copy of ‘A Catechism of Christian Doctrine’ please send a cheque or postal order, payable to ‘The Saint George Educational Trust’ to: SGET, 225 Andover House, George Yard, Andover, Hampshire, SP10 1PB.